Year after year, Deer Valley comes out on top as the best North American resort for guest service in SKI Magazine’s reader polls. While tons of resorts offer great skiing, there aren’t many that do so with such style. At Deer Valley, nightly award-winning grooming turns any type of snow condition into perfect corduroy, uniformed ski valets help unload your vehicle and store your gear, and on-site childcare makes getting on the slopes a snap for parents. 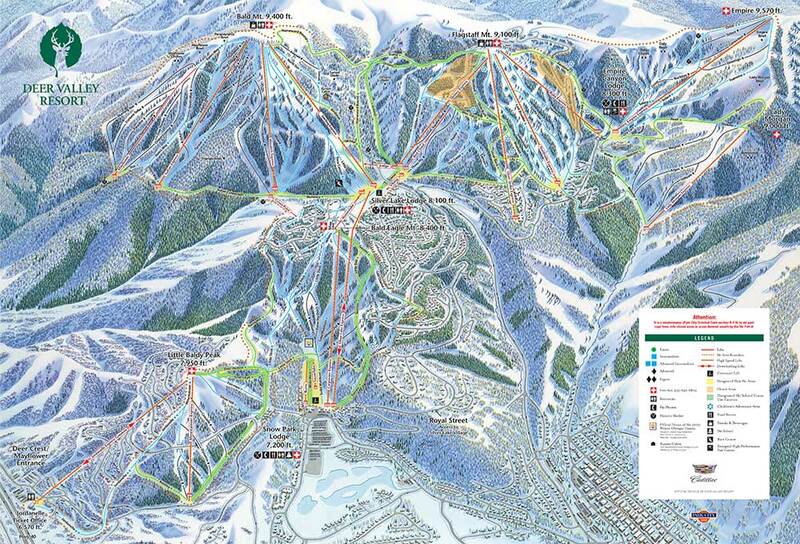 At Deer Valley, you can ski on the same runs as Olympians did during the 2002 Salt Lake Winter Games. However, if you’re newer to the sport of skiing, Deer Valley also offers some of the best beginner terrain in the region. Whether you’re at the top of your ski game or just getting started, Deer Valley’s highly rated ski school can help you sharpen your skills with its award-winning instruction in either a private or group setting. One thing we like to note for visitors to Deer Valley is that the resort does limit the number of lift tickets it sells each day. Generally speaking, this won’t affect you except for a few times during the ski season, in particular during holiday periods such as the end of December, beginning of January, and the extended weekend around Presidents Day. During these periods, it’s best to pre-purchase tickets online.